The clock inches past six in the evening. I slice and dice tomatoes, my ears alert for sounds of the garage door opening. Even as I turn the stove on, I hear them. A smile plays on my face as I open the door. Saathi wordlessly hands over lunch bags, banana peels and art work from the school. I put them away and come back ready for the girls. I hear sounds of whining and a tantrum in progress. I look askance at Saathi. He nods. No more naps. My girls are growing up. In tangible and intangible ways. The rest of the evening goes past slowly. The black mood now casting a shadow all around. By the time it is nine, the mood lifts. Smiles emerge from within. Hugs are exchanged and wicked gleams come into those tiny eyes. I am up at 5:30 AM. I lie on the bed flicking through the apps on my phone. Scanning news, personal updates, blogs and all the things that connect me to the world. I feel cheerful. The next two hours are replete with references to “no more naps”, “I am all growed up”, “I am a big girl now”. The morning is a contrast to the past evening. By the time everyone leaves, I am energised enough to wrap up doing dishes, clean, shower and start my day. The smile from the morning hardly leaves my face. I sit back and ponder on how much my mood is affected by those around me. If the people around me are grouchy and grumpy. I am too. If they are happy, it reflects on my face. The children’s’ enthusiasm rubs off on me. If they are whiny, I lose it. 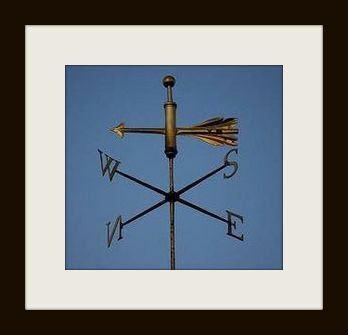 I feel like the weathervane that points to the current mood in the house. Love the frequency of your posts. On this topic, I often find myself thinking the exact opposite – how my own mood affects the mood of my family – I frown and the kids are running hither and thither to please me, I smile and the whole family is that much more happier. Yes, that thought crossed my mind too.